Procrastination is one of the biggest blocks to creativity, can increase stress, and decrease quality of life, particularly for those that are self-employed, where the work/life balance is already precarious. Follow these tips to feel inspired, motivated and ready to achieve. The people that we spend time with have a profound effect on our mood and productivity. Surrounding yourself with inspirational, upbeat people naturally makes you feel happy and motivated, creative and prolific. It is helpful to create a specific space for specific tasks, and this is particularly true for those that work from home. Not only does work filter through into home life, but home life invades work time too. Create a separate area for work, decide on your working hours, stick to them, then close the door at the end of the day and leave it behind. When using a computer, try to keep away from browsing the internet if possible, rather using it for specific, necessary tasks. If you can’t trust yourself, try setting a timer to make sure that you only use the allotted time to browse the internet. When the timer goes off, turn it off. Likewise, disable the automatic notifications on your mobile or tablet when you are busy. Deal with messages in one go, and maximise the use of your time. Social media is a wonderful thing, but an enormous time-sap. Try to limit yourself to an hour or so per day to check messages, update posts and reply to friends or customers. This can be broken down into ten minute slots throughout the day. Again, choose your schedule and do your best to stick to it. 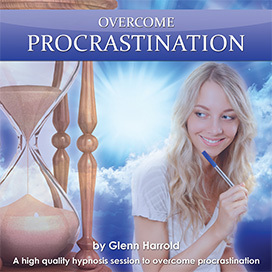 Often, we procrastinate when we have too many things to do. It is difficult to gain focus when tasks are piling up, and resentment can build up if tasks seem insurmountable. It may seem obvious, but writing a list is the best way to clarify priorities. Place tasks in order of importance, or create separate lists to distinguish work, home and family requirements. Take advantage of gadgets; phones and tablets have calendar facilities to timetable your day. We all have inner monologues that run all the time. Without meaning to, we can place barriers to our own productivity through the way that we talk to ourselves. Attainable goals mean that you are much more likely to over-achieve, making you feel productive and inspired. If you repeatedly find it difficult to work on a certain task, it may be worth revisiting your original plan. Sometimes by procrastinating, our subconscious mind is trying to tell us that things aren’t quite right, and that a different goal or alternative approach would be a better choice. There’s a reason that star charts work for children! Procrastinators often deny themselves proper leisure time, creating a punishing schedule that they resent, and then have trouble sticking to. Create a series of treats that you will allow yourself on completion of each stage. Treats can be anything from a phone call with a friend, a long walk, a trip to the park with your family, or a new book to read. The important part is to take a little time to notice your achievements, and pat yourself on the back for them. 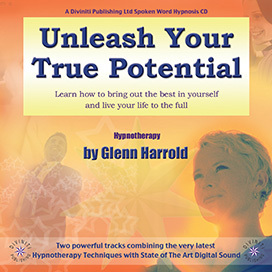 Download these amazing new hypnosis recordings Now!